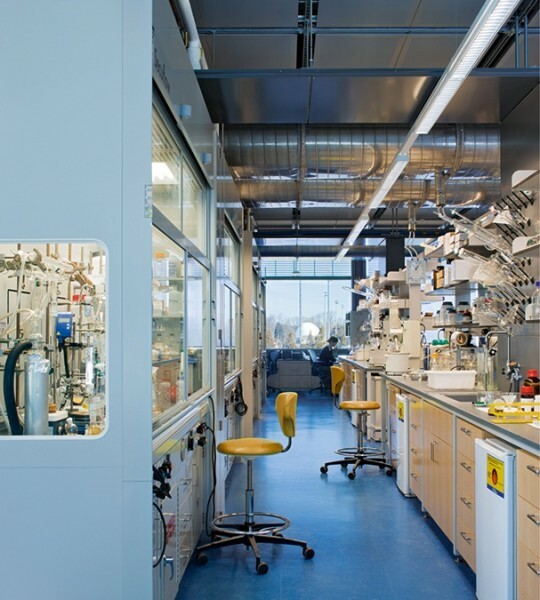 This Laboratory building provides a new home to reinvigorate the Department of Chemistry and integrates teaching and high-level research spaces in a facility which enhances interaction, collaboration and creativity. 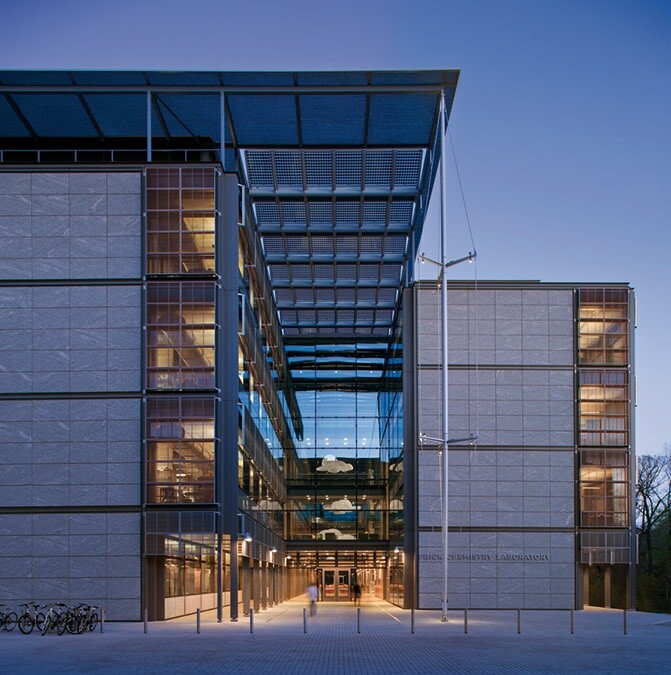 The design allows the main programmatic elements of faculty offices and laboratory research spaces to be expressed through massing: offices are accommodated in the towers facing the campus woodland, whilst laboratories are housed in a deep linear block to the rear. 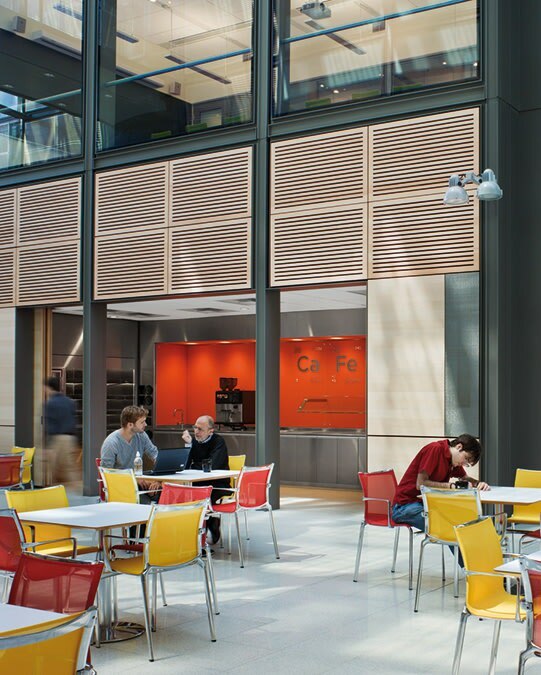 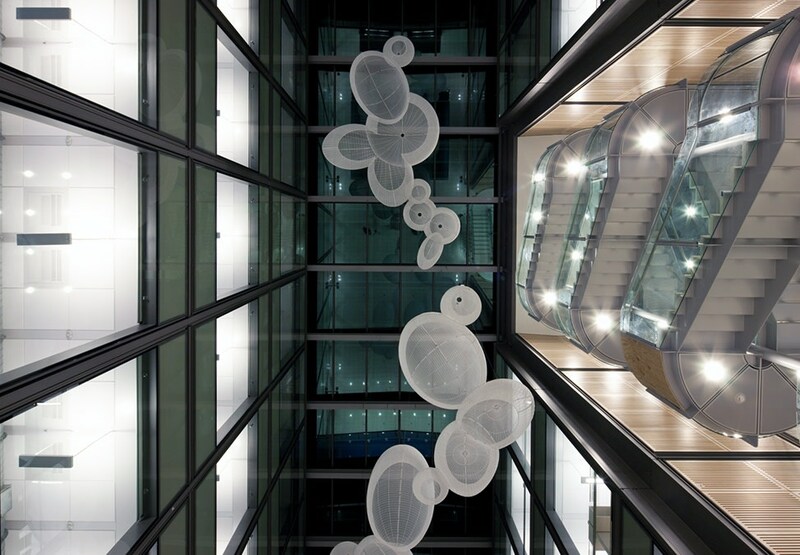 The focal point of the building is a 75-foot high atrium which serves as a centralised circulation, interaction and meeting space and which offers views both into and out of these surrounding spaces. 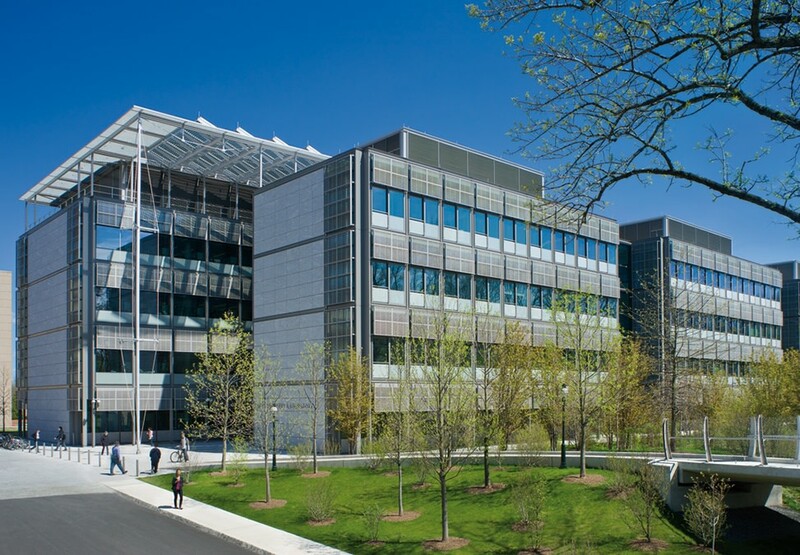 Located on a highly-visible site near the principal southern entrance to the historic campus, Frick is part of a greater campus effort to consolidate related schools within in a new Science Neighbourhood. 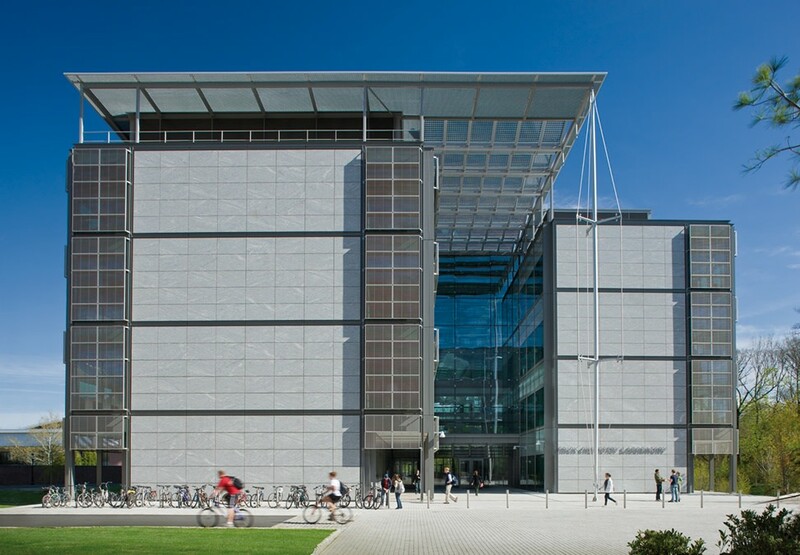 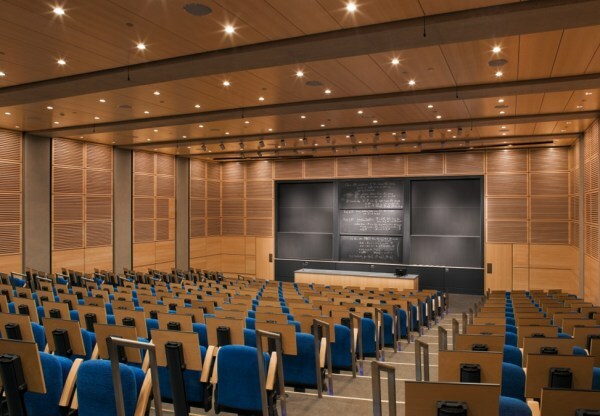 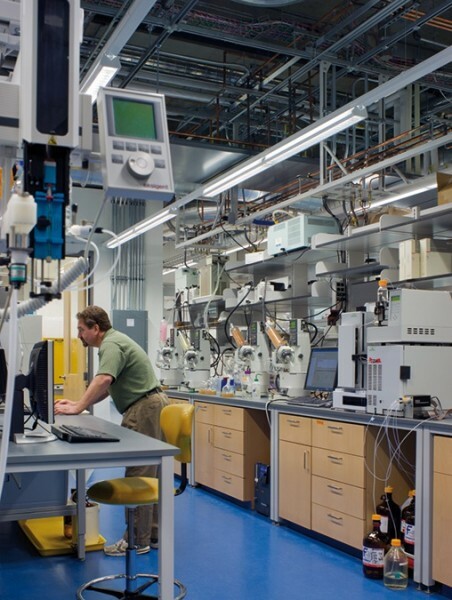 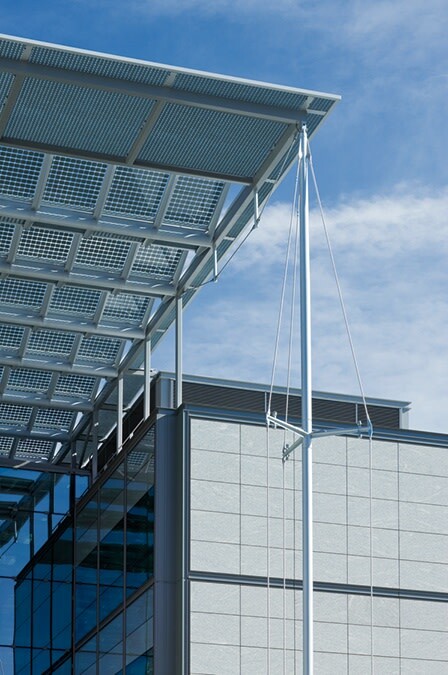 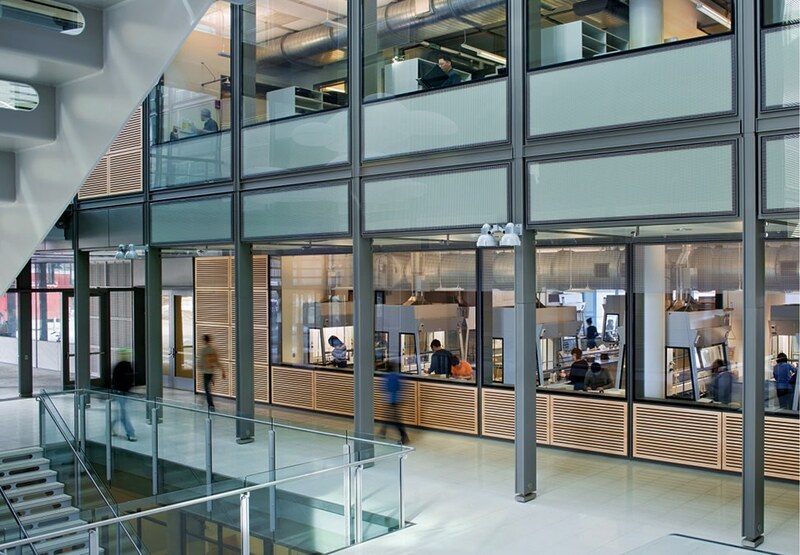 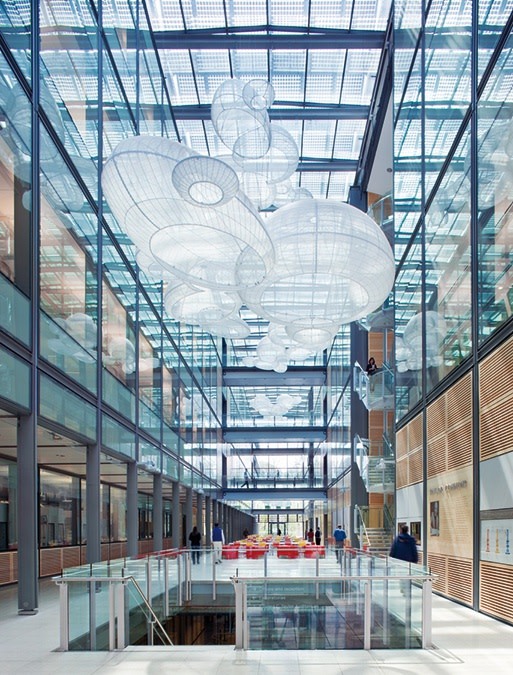 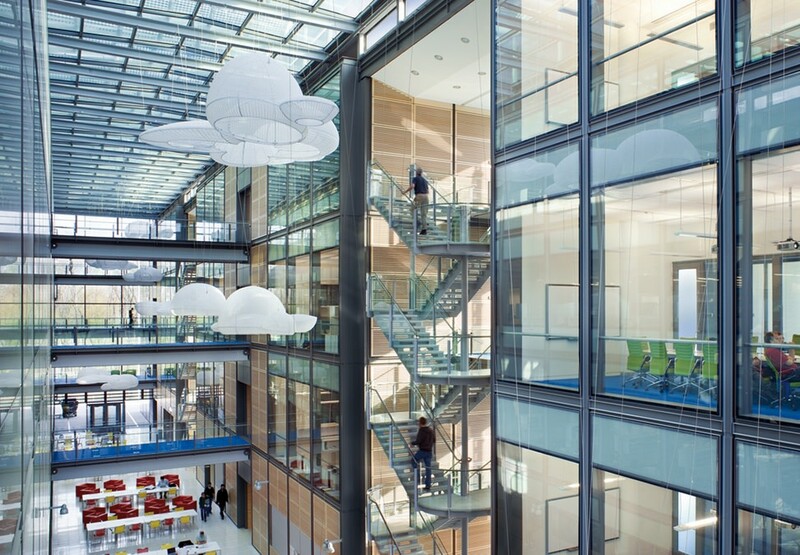 One of the principal aims of the design was to set a new standard in energy-efficient design for chemistry research buildings throughout the US. 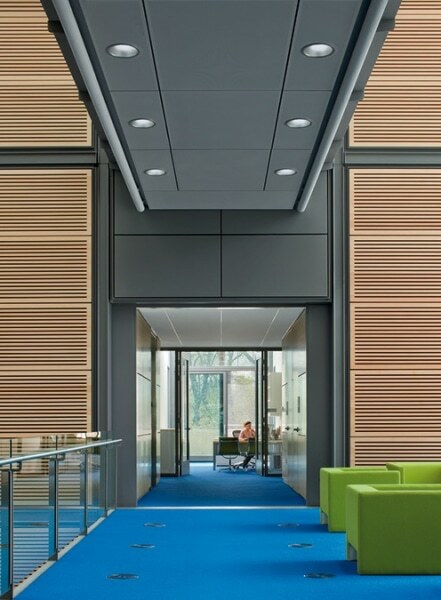 As such, the project incorporates a number of sustainable features including one of the largest integrated photovoltaic arrays in the US, a pre-manufactured façade, greywater recycling, chilled beams and extensive use of natural lighting coupled with daylight sensors throughout the interior. We worked with Boston-based Payette who served as the executive architects on this project.